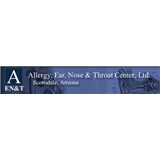 Allergy, Ear, Nose &Throat Center, Ltd. (Scottsdale) - Book Appointment Online! Dr. Lee is great, personable, and takes the time you need to be seen. I've seen him several times, each time he takes all of our needs.